Hong Kong skyline from the peak, with victoria harbour. hd00:58Hong Kong Victoria harbour from aerial view of peak. hd00:20Hong Kong Victoria harbour from aerial view of peak, timelapse with fast forward editing. hd00:20Hong Kong Victoria harbour from aerial view of peak. hd00:20Hong Kong Victoria harbour view from the peak, with fast forward timelapse effect. 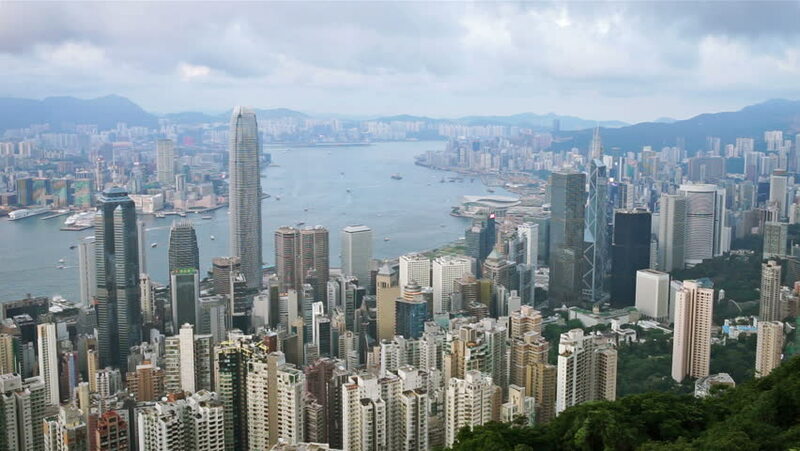 4k00:15HONG KONG, CHINA - APRIL 2, 2019: 4K Cinematic Zooming Out Time Lapse Footage of Victoria Harbour taken from The Peak in Hong Kong during cloudy day.